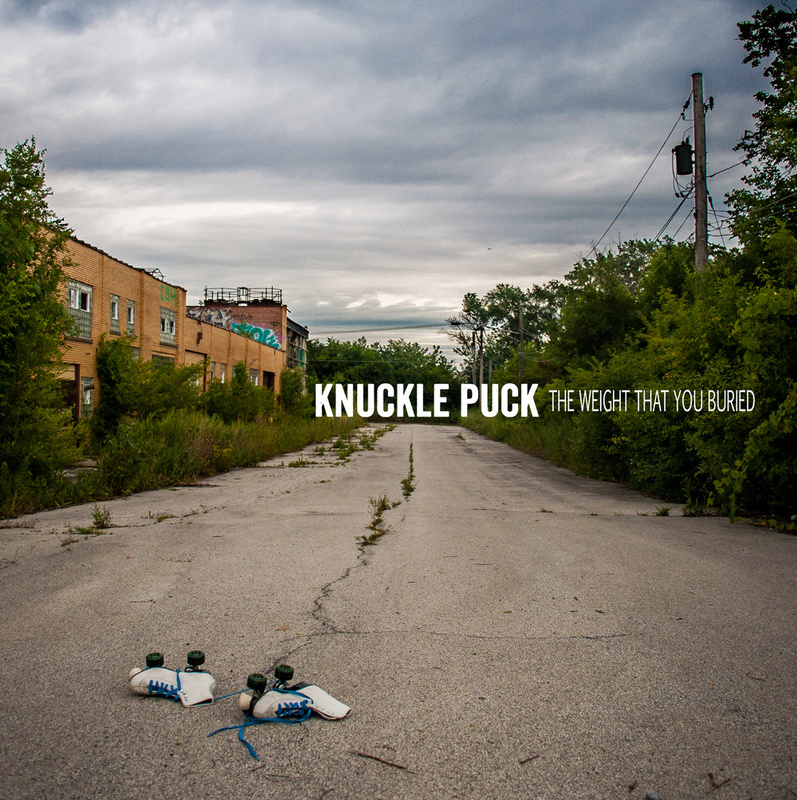 Knuckle Puck started making a name for themselves with their last EP ‘Don’t Come Home’; four excellent pop punk tracks played in the same vein as already established bands like Real Friends. Latest EP ‘The Weight That You Buried’ should see the band overtaking their neighbours in fantastic fashion. Opener ‘Everything Must Go’ is fast and energetic, opening with the line ‘Lately I’ve been more selfish that I should be’ and sets the tone well for the EP. The majority of the vocal and lyrical hooks throughout the EP are well done, with the most essential lyrics highlighted by gang vocals and accapella moments. Ultimately, these songs are designed to be screamed at the top of your lungs, with relatable lyrics that are intensified by the vocals that give them fire. The line ‘It’s people like you that make me the pessimist I am’ from the final track is a line a lot of listeners will connect with, and the same could be said about most of the lyrics that give the EP its angst. There’s clear emotion in the music played, and it’s a kind that an audience can welcome and thrive off. The ending of ‘Your Back Porch’ is reminiscent of ‘The Story So Far’ and Knuckle Puck borrow a lot of sounds from other artists in the genre (The Wonder Years) and put them to good use. The four tracks here don’t necessarily bring anything new, but they are very good, and a clear progression from their last release. Occasionally the songs here sound too much like their peers but it’s hard to notice when they’re this good. Simply put, ‘The Weight That You Buried’ is pop punk done perfectly, and continues the genres winning streak. ‘The Weight That You Buried’ is fast paced and emotional in the best way, spurred along by the energy and heart poured into it. Production and instrumentation is spot on, with drum fillers occupying every brief second of silence, and I was particularly impressed by the range of vocal delivery, especially on closer ‘No Good’, which starts off slow and becomes one of the EP’s best tracks. You’ll struggle to find an EP better than ‘The Weight You Buried’ this year, and despite only being four tracks long it serves as a real insight into the bands quality and left me eager to hear more. If Knuckle Puck can continue to pour this level of emotion and passion into their music then expect BIG things in the future.